i think this is not a good idea of showing appreciation to art. i believe all of you will also be angry if someone do something bad to your art,right? maybe leonardo will get up from his grave and find all of you and kill you. i know that he must be angry if he know someone play fool with his great creation. 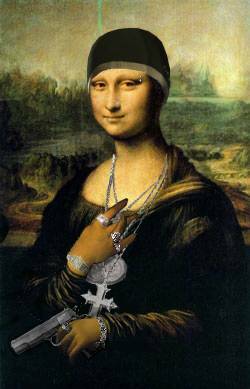 Post your comment on Gangsta Lisa!